when lights called the world to Paris. their sight defined Her as heiress. through canvas, brush, paints and wordplay. in Her energy and freedom. whether written, sculpted or played. by weaving their souls in art’s bones. must live and die imbued by art. they transformed the cows of Montmartre. 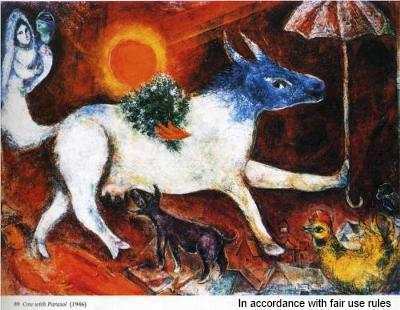 Picasso to Chagall, Apollinaire to Hemingway they put the cow and the bull in their art; and Gertrude Stein made “cow” a whole new symbol!